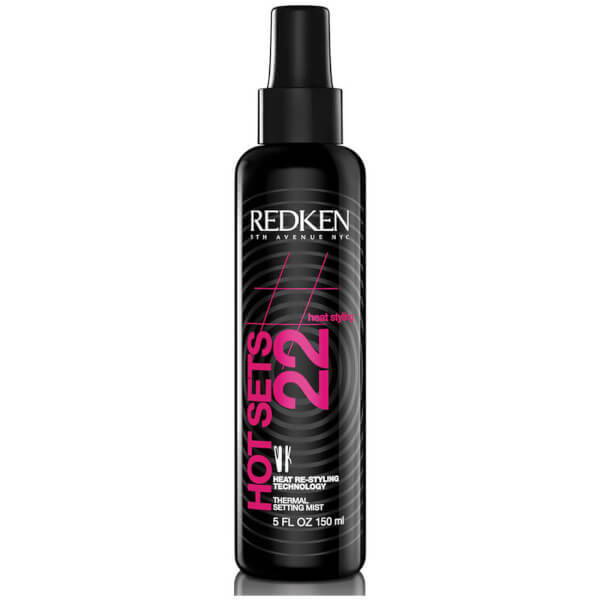 Shield and control hair with Redken's Hot Sets 22 Thermal Setting Mist; an ultra-fine spray that works to defend against heat styling up to 232°C. Developed with innovative Heat Restyling Technology, the hairspray delivers long-lasting hold, whilst remaining flexible and reworkable after application. 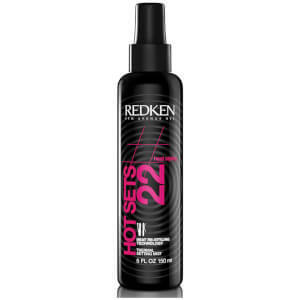 Provides heat protection and strong hold to keep even the tightest curls or straightest styles in place all day and night. For curling or flat irons, mist on dry hair section by section. For a roller set, mist on damp hair. Depending on hair length, 2-4 pumps per section will deliver the right amount. For damp hair application, slightly more is recommended.